Robert G. “Bob” Sandifar, 86, of Metamora, IL passed away at 10:20 am on August 20, 2018 at his residence. He was born on January 7, 1932 in Jefferson County, IN to Chester and Anne (Stewart) Sandifar. He married Shirley A. Craigmiles on August 20, 1962 in East Peoria, IL. She survives. Also surviving are children Rick (Delores) Mast of Ellenton, FL, Kim (Britt) Beard of Metamora, and Kerry (Gayle) Sandifar of Alvarado, TX; eleven grandchildren; twelve great-grandchildren; and sister Helen Gregory of Indiana. He was preceded in death by his parents, four brothers, and three sisters. Bob was a U.S. Army Veteran serving as a corporal in the Korean War. He was a technician at Caterpillar, retiring after 30 years and then worked for ICC, retiring after 13 years. 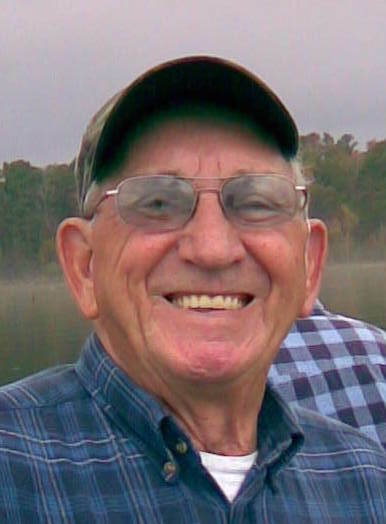 Bob loved fishing, being outdoors, and sitting in the front yard waving at everyone that drove by. Funeral Services will be held at 11:00 am on Saturday, August 25, 2018 at Mason Funeral Home Metamora Chapel with Reverend Tom Eckhardt officiating. Visitation will be held from 10:00 am until service time on Saturday at the funeral home. Burial will be in Hillcrest Memory Gardens in Morton with military rites accorded. In lieu of flowers memorials may be given to OSF Richard L. Owens Hospice Home, 8630 State Route 91, Peoria, IL 61615 or to a charity of the donor’s choice in Bob’s name. Online condolences at www.masonfuneralhomes.com.